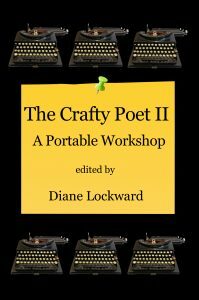 The Crafty Poet II: A Portable Workshop isn’t Diane Lockward’s first walk around the poetry block. 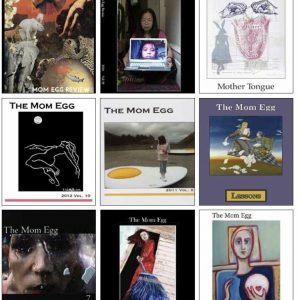 In this “collection of poems, prompts, craft tips, and interviews for aspiring and practicing poets,” Lockward—author of two chapbooks, four full-length poetry collections, and The Crafty Poet II’s elder sibling The Crafty Poet—demonstrates both her insight and skill in elucidating the many-faceted ways in which a poem pulses into existence on the page and in the ear. The collection is remarkable in the scope of voices it offers as teacher and example. Lockward structures the book into ten sections, each of which includes three short, astute essays or “craft tips” that explicate, interrogate, and even complicate the art of poetry—matters of diction, syntax, process, sound, revision, metrics, form, sequence, and lineation. 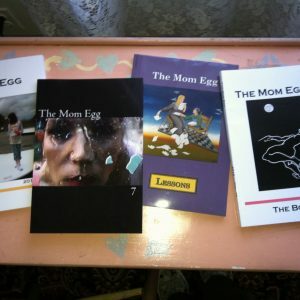 Each of these essays is authored by a contemporary voice in the poetry community, poets as diverse in background and style as Nin Andrews, Alberto Ríos, and Lee Ann Roripaugh. After each tip follows an example poem and prompt based on that example poem—poets such as Charles Harper Webb, Paisley Rekdal, and KC Trommer are a few who comprise the authors of these model poems. Lockward then includes two poem-responses to this prompt, “contributed by subscribers to [her]monthly newsletter”—which served as the impetus for the publication of The Crafty Poet and The Crafty Poet II. At the end of each section is “The Poet on the Poem,” a Q&A between Lockward and a poet regarding the considerations of process for one of the poet’s poems. Poems and poets in this camp include “Blue Grapes” by Susan Rich and “Earthquake Light” by Robert Wrigley. Lockward closes each section with a final “bonus” prompt, some of which are truly fascinating approaches to the writing of poetry, including “The Double Trouble Poem”—in which the writer is tasked to 1. “choose a topic that lends itself to a list”; 2. “write a quick ten-line poem . . . [while leaving]an empty line after each written line”; 3. “add a new line after every line in the draft”; and 4. “make each new line contain a rhyme or near-rhyme with a word in the preceding line” (273). The draft clocks in at twenty lines that consider both what is said and unsaid as ways to vary a poem’s movement. Lockward chooses the example poems and then authors the corresponding prompts in order to build off of the advice offered in the previous craft tip, though not every example poem and prompt tidily responds to every tip. This choice does not disjoin the collection; rather, the pairing of craft tips with poems and prompts lets the writer find his or her own resonances across myriad types of advice to employ what works best for his or her writing situation. Moreover, this writer is even offered a vision as to how the prompt and the advice before it might be physically realized in the sample poems offered by responders to Lockward’s newsletter. The Q&A’s, too, act as particularly illuminating mini-treatises on how poetry works and lives from poet to poet in that the discussions simultaneously refer back to and open up the material covered in the section in question. To see another poet’s process unmasked is a compassionate offering by Lockward and the poets she interviews. The collection reads as a guide for poets of all walks-of-life: veterans and those just unloosening the tumult of words within. If the muscles and bones of this collection The Crafty Poet II: A Portable Workshop are the tangible, learnable, practicable skills poets use to write and revise their work, its heart and blood is this prescription, that we should not lose sight of the flame, the sting, the pulse that impels us to write. The poem is often smarter than the poet; it knows how and what it wants to say. Lockward and her cohort challenge and guide us only to listen. Grace Gardiner is an MFA candidate in poetry at the University of North Carolina Greensboro and an editor for The Greensboro Review. Her work has appeared in The Adroit Journal, burntdistrict, and Forty Eighty-Five. Next Article Borderlands and Crossroads: Writing the Motherland, Laurie Kruk and Jane Satterfield, Eds.